How Can I Find Covered California Health Insurance Exchange Quotes? 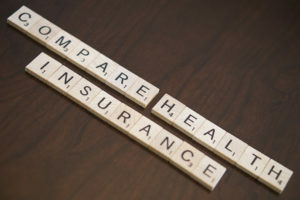 One of the best ways to find Covered California health insurance exchange quotes is to use a service that can assist you to ensure you’re selecting the proper plan for you and your family. One such place is California Exchange Plans, a website designed to make it easy for you to weigh your options. The easy Covered California enrollment and plan search bar asks only a few questions before you’re able to start considering which you plan to select. Although we have been in the insurance business for over 15 years, California Exchange Plans has not tired of their purpose. Our dedicated agents are extremely knowledgeable, serving as a certified store front for Covered California health insurance exchange quotes and plans. In addition to helping you find the insurance plan you seek, our professionals are able to help you find out if you’re eligible for a subsidy. Working with an insurance agent at California Exchange Plans makes it so that you’ll have someone to present your questions to, and someone who can present all of your options so you can make an informed choice. While you can find PPO and HMO plans, they are also knowledgeable in life insurance, group medical insurance and even Medicare Supplement Insurance. Why should I choose California Exchange Plans to help me with Covered California enrollment and plans? When it comes to Covered California health insurance exchange quotes and plans, California Exchange Plans is superior to other companies. With exceptional experience and understanding of the new health exchange market, California Exchange Plans is the ideal source for you to get all of your questions answered. Give us a call at 714-960-4700 or contact us using our online form to get started today.